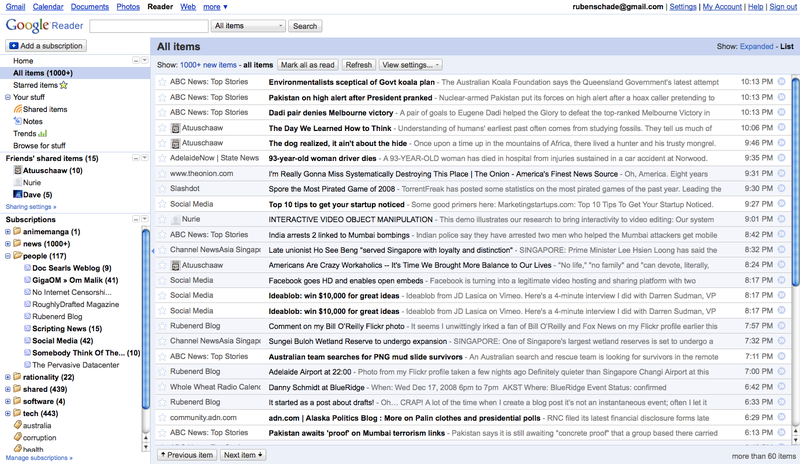 Rubenerd: Scripts to make Google Reader usable again! 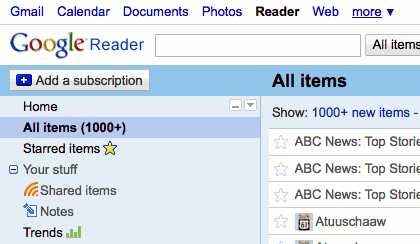 Scripts to make Google Reader usable again! 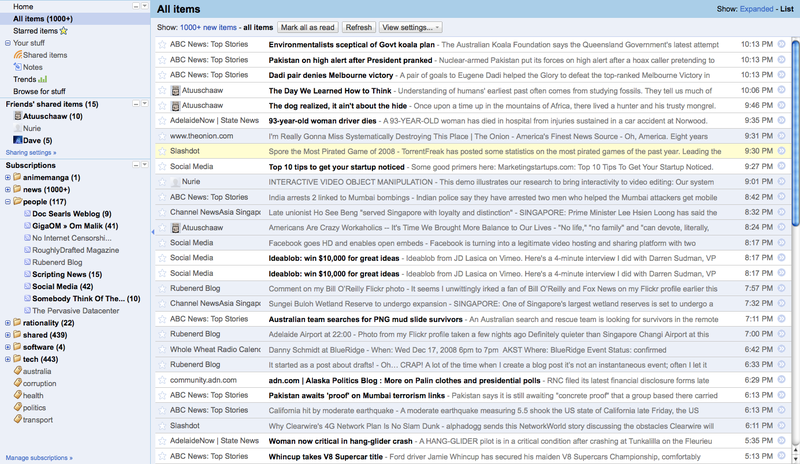 I was really worried I was going to have to ditch Google Reader because the new blazing white interface with heavy black text was just too difficult to look at as I mentioned yesterday (Google Reader takes a turn for the bland). 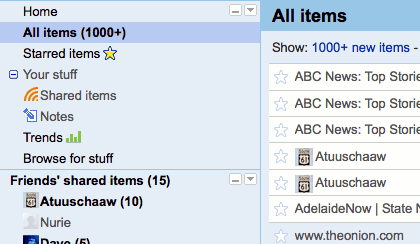 Fortunately some quick thinking people have created some great scripts that make me remember why I love Greasemonkey! 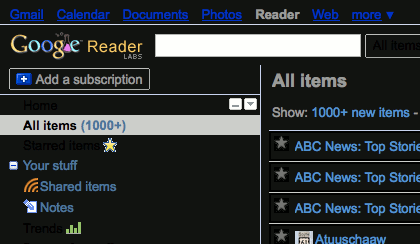 If you do a search for "Google Reader" on UserStyles.org or UserScripts.org there are hundreds of scripts you can install with two clicks, many of which have been hastily updated to work with the new interface. This script by trashrockx reintroduces colour on the sidebar and other elements to decrease the contrast back to the level it was before. 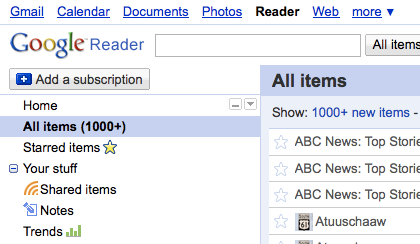 It quite literally makes Google Reader usable again! 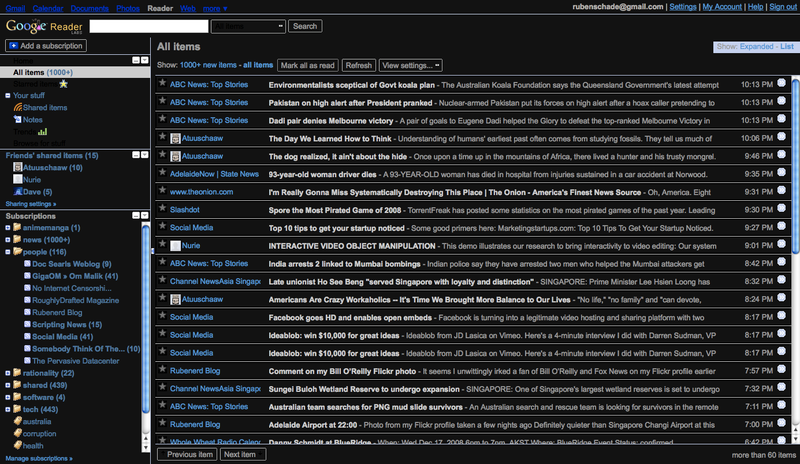 This script by Simon Lieschke removes everything above the feed heading bar which gives you MUCH more space for feed items. I tend to use the Search box a lot myself, but if you never do you may want to check this out. This updated script by KullDox inverts the background which is much easier on the eyes first thing in the morning and late at night. I like to toggle between this and the first colour scheme above during the day. 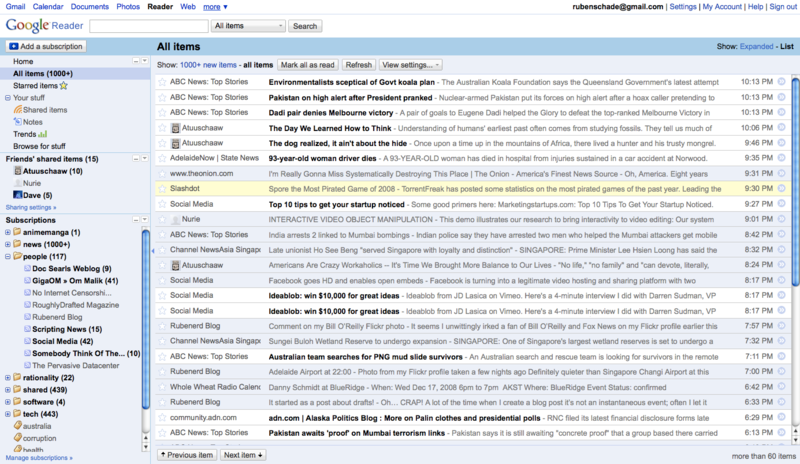 If you have any cool Google Reader Greasemonkey script ideas, post a comment :-).